I am sure many of you have become aware of the resurgence of the hashtag #MeToo trending on social media in the wake of the numerous sexual harassment and assault allegations against Harvey Weinstein. My feed was full of #MeToo hashtags–hundreds of people sharing, maybe for the first time, that they too have been a victim of sexual assault and harassment. And then there are all those individuals who don’t feel safe coming forward, or perhaps are not ready to share their victimization with the world. The number of hashtags in your social media feeds is just a small percentage of the number of those affected by sexual harassment and assault. Just this Sunday night, Anthony Rapp came forward to BuzzFeed about a sexual assault he experienced when 14 perpetrated by a 24 year old Kevin Spacey. Given the ubiquity of sexual assault accusations emerging in Hollywood of late, it is easy to think this is a behavior isolated to the rich and famous. But it isn’t. It is pervasive across all facets of our society. This reality is just as true in triathlon as it is in gymnastics, swimming, running, sailing, or cycling. 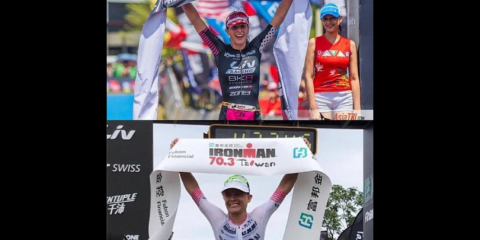 We know women triathletes still receive smaller prize purses than men in many races*, we also know women triathletes don’t receive the same coverage as their male counterparts. And while it is easy to dismiss these two examples as not relevant to sexual abuse, it is important to understand these behaviors exist on a continuum and in a system that values men, and men in sport, over women. Women athletes are often objectified by commentators and the media–their weight or attractiveness discussed and dissected while their athletic accomplishments are left to the side. Lizzie Armistead, a British cyclist, and former world race champion, spoke about the harassment she experienced as a cyclist in her book. Guardian columnist Barbara Allen describes one experience when Armistead was 19 years old. The night before her world champion win, she was requested to play Nintendo Wii in front of her male teammates while they watched. She was “subtly toyed with, [and] slyly objectified, simply because she’s female.” Sarah True, Olympic triathlete, has also spoken of her experiences with sexism in triathlon. Once married, she became the the wife of an accomplished runner, versus a two-time Olympic qualifying triathlete herself. It is easy to condemn sexual abuse, but it is not so easy to condemn the attitudes and behaviors that support its existence, like those described above. Wherever a behavior falls on the continuum of sexism, each behavior connects to support a cultural system where sexual abuse is tacitly permitted and excused. If you were surprised by how many of your friends, triathletes or otherwise, hashtagged #MeToo, it is important to remember, whether or not we hear about sexual abuse in sport, it is happening. Based on the sheer magnitude of #MeToo hashtags, we would be naive to dismiss them as isolated incidents–each individual hashtag combines to paint a larger picture of the pervasiveness of sexual assault and harassment. It’s an epidemic and we must do better. So what can our community do about it? Most importantly, we can believe and support our friends who come forward and share experiences with us. Whatever level of triathlon you participate in–a local club or the national team–we can all do a better job of creating a climate where sexual objectification is unacceptable. We can demand equitable treatment and equal coverage for women triathletes. We can vet coaches and call out problematic and sexist behavior when we see it–even when it’s uncomfortable for us. And in doing these things, we can work to create safe, non-objectifying spaces for girls and women triathletes. Women and girls have the right to participate in triathlon and any sport without fear a coach or fellow athlete will sexually objectify, harass, or assault them. *editor’s note: Many high-profile triathlons have equal prize money, but there are still multiple smaller races (especially outside North America) that offer more money and deeper purses to the men’s field.